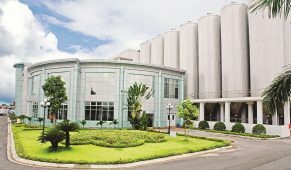 Founded in 1995, Polyco has been main contractor for over 30 projects for Vietnamese and foreign breweries. Ou rmodern technology and continuous innovation have met the most demanding customers from all over the world such as Germany, Japan, Holland. Besides modern technology, Polyco also has experienced and dedicated technician staffs. Every year, our technical committee are sent to seminars and equipment fair to exchange knowledge as well as update new brewing technology from the world. An integral part to contribute to current Polyco’s achievement is human resource management and management system. In fact, brewery projects built by Polyco are always completed under 12 months. These projects has met all strict requirements on labor safety. The quality and time of completion of the project have made strong impression on our customers about excellent products made in Vietnam. Our products’ quality are as good as overseas products at economically competitive price. Polyco has created our brand name by dedicated and enthusiastic staffs and our own abilities..